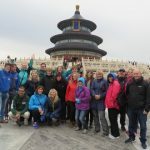 Join Team Prevent Breast Cancer for the adventure of a lifetime, and trek one of the wonders of the world… the Great Wall of China! 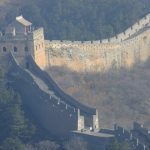 This trek takes you to a remote section of the Great Wall of China, from Gubeikou to Simatai. Not only will you trek on the wall itself, meticulously built and restored over thousands of years, but you will also have the opportunity to trek through wild and remote landscapes with distant views of green rolling hills, mountain peaks and with one of the great wonders of the world as the backdrop. 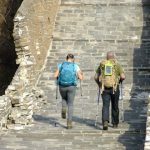 Staying in guesthouses throughout the trek allows you to gain an understanding of the ‘real China’ as you discover more about lifestyle of the local people and also taste some incredible local cuisine. You will be accompanied by local English-speaking guides who have an excellent knowledge of trekking in the region. The guides are first aid trained and will support you throughout your journey. You will also be supported by an excellent team of assistant staff, cooks and drivers and a Different Travel Company UK tour manager. Depart on an overnight flight to Beijing. N.B. If flights are required from a different departure city to London, please let Different Travel know when booking, and they will advise on alternative departure airports. Today you will have guided visits to the Forbidden City and Tiananmen Square before some free time and a special farewell dinner tonight. Transfer to the airport for the return flight. Depending on flight schedules you may arrive back in the UK on Monday 30th September. This event is run by The Different Travel Company, an experienced adventure travel company.